Located in the northwestern corner of Luzon, Ilocos Norte is a province that boasts of different adventures fit for travelers of varied levels of experience. Scenic drives, majestic beaches, sand dunes, old churches and excellent food await every visitor on this side of the country. Ilocos Norte has long been recognized as a prime destination in the Philippines, a favorite among expatriates and locals seeking a quiet weekend escape. Ilocos Norte was the birthplace of the famous Ferdinand Marcos who declared the Philippines under Martial Law during the later part of his term as president. The Marcoses still reside in the province and hold important offices in government. Their former residence, known as the Malacanang of the North is a now a museum open to the public. Laoag City, the provincial capital, is about an hour’s flight from Metro Manila and 10-12 hours via bus or personal vehicle depending on traffic. The Laoag International Airport makes the province easily accessible from the rest of the world. Laoag is considered the nerve center of the province, with plenty of businesses, hotels, shopping centers and attractions that cater to both locals and tourists. 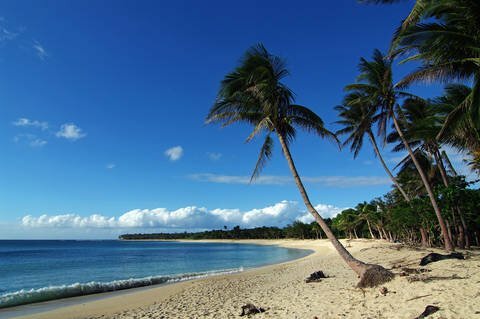 It is also an excellent base camp for tourists planning to explore the rest of Ilocos Norte. Although it is unrealistic to expect to be able to see everything that the province has to offer in one go, it would be good to plan an itinerary that highlights the best attractions. Here are some of our recommendations. 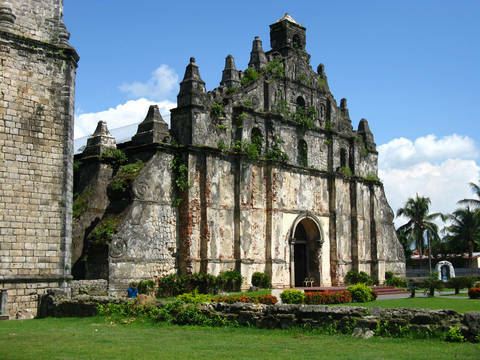 This church is a UNESCO World Heritage Site, being one of the Baroque Churches of the Philippines which were established during the Spanish Era. The church’s most significant feature is the buttresses which are reminiscent of the Earthquake Baroque architectural design. Maira-ira Beach, now commonly known as Blue Lagoon, was once one of Ilocos Norte’s best kept secrets. Now it is considered one of the best strips of sand in the region, along with its crowded sister, Saud Beach. Swimming in Blue Lagoon is similar to swimming in a large swimming pool. And while the sand is not pure white, it has a grainy quality similar to that of Boracay’s Station 3. This beach is perfect for the tourist who wants to purely enjoy the beach as there are no resorts in the area. Originally constructed by the Marcoses as a wedding reception venue for their daughter Imee, Fort Ilocandia is a first class property sprawled over 77 hectares of land facing the South China Sea. The Spanish-inspired resort is popular among tourists who are willing to spend top dollar on accommodations. The resort features elegantly appointed guestrooms with panoramic views of the sea, a mini-zoo, well-maintained gardens and an Olympic-sized swimming pool. There is easy access to Suba Beach from the resort but swimming is not encouraged due to rough waves. Suba Beach may not be suited for swimming but it offers another kind of adventure to those who step on its sands. It is the only dessert in the Philippines, stretching for miles along the coast of Suba. This spot is perfect for meditating, making you feel closer to the sky as you walk along the shore during the early hours of the morning. Another kind of adventure awaits in the sand dunes of Paoay. People have recently discovered that the dunes are perfect for driving 4×4 vehicles and sandboarding. Screams of excitement punctuate the still air as jeeps ride the steep cliffs and hills while daredevils stand on their boards as it slides down the sand dunes. Sandboarding is much like snowboarding, only it is done on sand rather than on snow. Although there is not much to do than ogle at the white giant fans of the north, the Windmills of Bangui are something that most tourists never miss. This attraction is located on the Bangui Coast, a short walk from Pagudpud/Saud Beach. The windmills are not just a well-photographed attraction; it is also a clean energy source that supplies electricity to some parts of the province, the first of its kind in the Philippines. Aside from the attractions, Ilocos Norte is also famous for their delicacies that visitors, whether domestic or foreign, never fail to sample before leaving. While most of these delights have made their way to the stores of Metro Manila, nothing beats the experience of actually tasting the original recipes. Bagnet is the Ilocano version of the Crispy Pata. Though it is not much different from those sold in Manila and other parts of Luzon, the preparation process of bagnet is what makes it unique. Pork slabs are boiled in brine solution until tender; dried for a couple of hours and then fried to a crisp. This process is repeated at least twice to achieve the distinct quality of the famous bagnet of Ilocos. 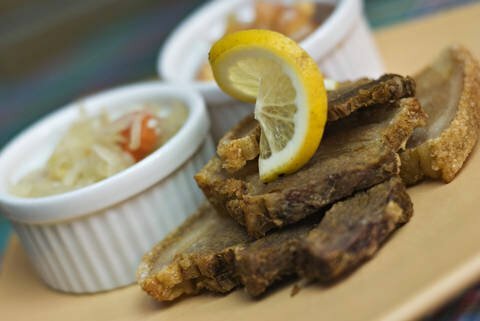 Bagnet is served in most restaurants in the province as well as in open air markets. One should never leave Ilocos Norte without having a juicy bite of empanada (stuffed bread or pastry). There are a lot of versions made all over the country but what makes this unique is the savory filling made of chopped longganiza, mung beans and green papaya. And instead of having it baked, Ilocos empanada is fried to a crisp, its crust is colored orange by achuete (annatto) powder. One of the best empanada joints in the province is Dap-Ayan ti iLocos Norte food court which is located close to the capitol building. This is another popular take-home treat from the north. Bibingka is made from ground glutinous rice, sugar, milk, eggs, and cheese. The mixture is baked in high temperature until it turns golden brown. Marsha’s Delicacies, located along the highway to Vigan, Ilocos Sur, is a good place to get these treats. Attractions and food are only two of the many reasons why thousands of tourists visit Ilocos Norte and come back for more. With the national government ramping up efforts to promote tourism in the region, one can only expect Ilocos Norte to be one of the most-visited places in the Philippines in the very near future.